My friend decided to have her birthday dinner at Joey’s and I remember a few years ago I also had my birthday dinner here too and it was alright. Apparently they only take 20% reservations and the rest of the space is for walk in customers. 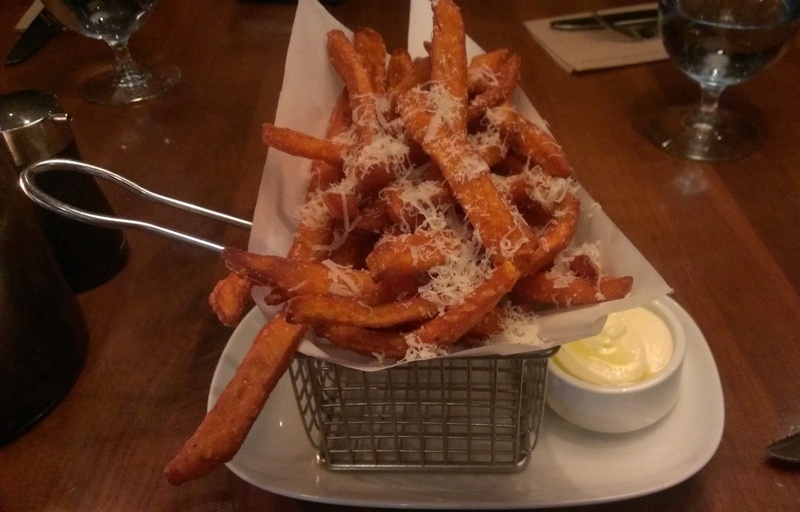 We started off by sharing some Yam Fries with Truffle Lemon Aioli and grated Grana Padano cheese on top. The fries were good but the acidity from the lemon aioli just didn’t go well with the yam fries but it sounds good in theory. The presentation on the wire basket as also cute. The birthday girl’s California Chicken Club with cheddar, bacon and spicy mayo. She opted for a side salad instead of fries. It looks like a Caesar salad since I can’t remember now. 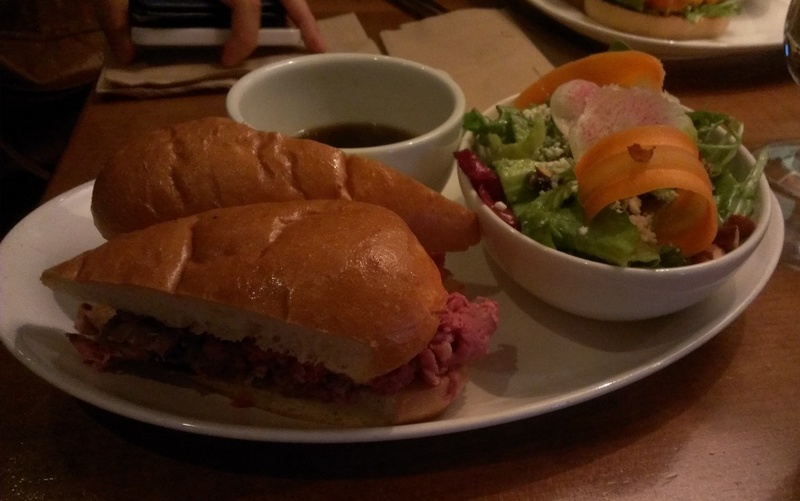 This was the Beef Dip with shaved CAB beef, carmelized onions and au jus and a side of house salad. 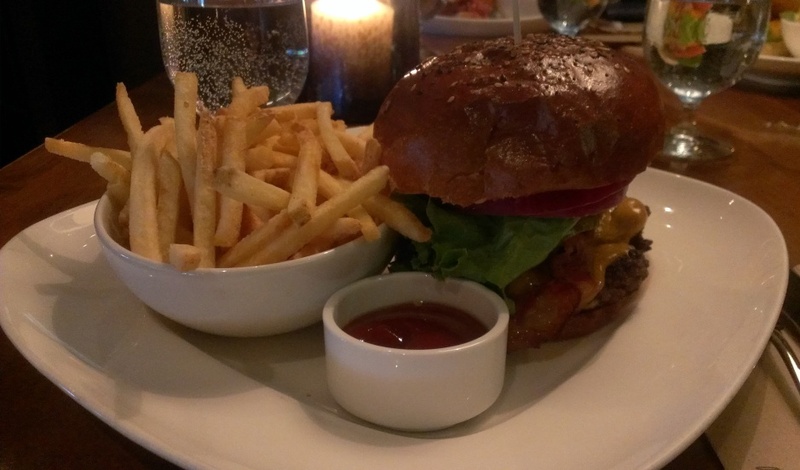 I had the Bacon Cheddar Burger with fries. The burger was pretty tasty and really big! 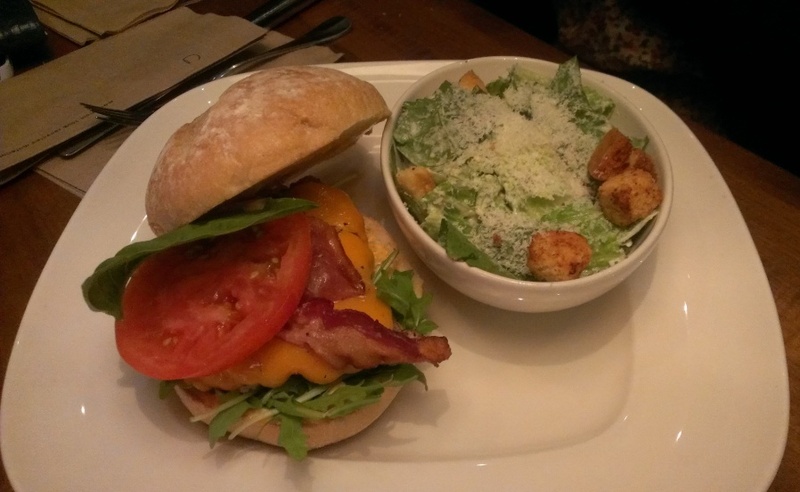 It had the usual suspects: lettuce, tomato, onions, and of course bacon and cheddar. However, the fries were terribly bland… they weren’t crispy enough and just seemed too soft for my taste. It’s not even because they were under seasoned and I like all kinds of fries! The portion of fries was really big though if you like these kinds of fries. The bottom of the bun also started to get soggy after a while but otherwise the burger was very satisfying. 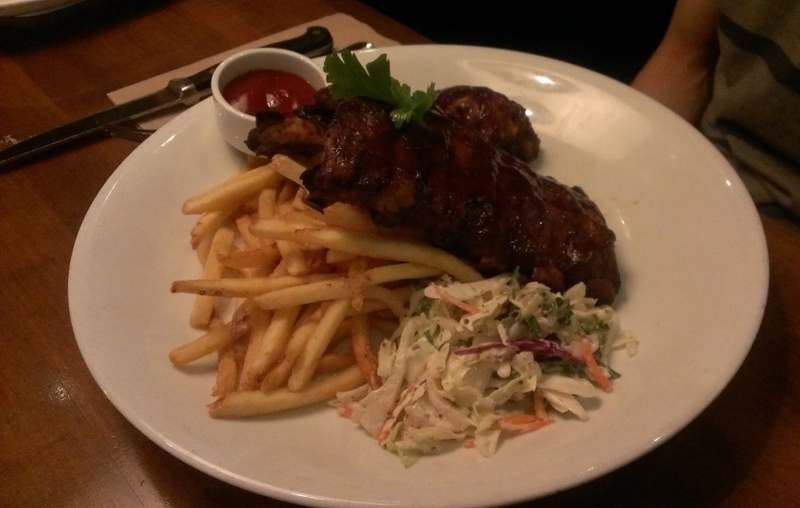 This entry was posted in American/Burgers, Food Reviews and tagged beef dip, burgers, fries, ribs, salad, yam fries.